Mellody Waurig is a graduate of Mueller College, as well as North State Massage Institute, and has been practicing massage since 2005. She trained over 1,300 hours in a verity of massage techniques to became a Holistic Health Practitioner and California Certified Massage Therapist. In her sessions she brings together a synergistic mix of techniques to provide each client with a customized blend of body work. Some of those technique include Swedish, deep tissue, neuromuscular facilitation, myofascial release, sports massage, cranial sacral and Asian cupping. After an long time career in corporate customer service, Mellody understands the havoc those high stress level can create in us. She feels a calling to help restore wellness and balance to as many as are drawn to her service. A simple side roll can help low back and hip pain. If you are more flexible lay on the side of your bed and let your leg fall off the bed, again remember to keep your shoulders flat to the bed. Shiatsu can offer the same benefits as stretching alone but also allows you to completely relax while the practitioner counterweights the stretch. Naturally healthy Hair & Skin! Using heavily perfumed products can irritate and dry your skin. Without leaving you kitchen you can naturally heal your skin. Coconut oil can be applied to hair as a masque and liberally to skin as a non-irritating moisturizer, also use as a ‘mouth pull’ swig for 15 – 20 minutes for healthy mouth and better breath! Combine coconut oil, honey and raw sugar to buff dead skin from sensitive skin like your face and lips! Lemons help clear problematic skin, lighten sun spots and clear away dry skin! Use your pantry for a better looking you! 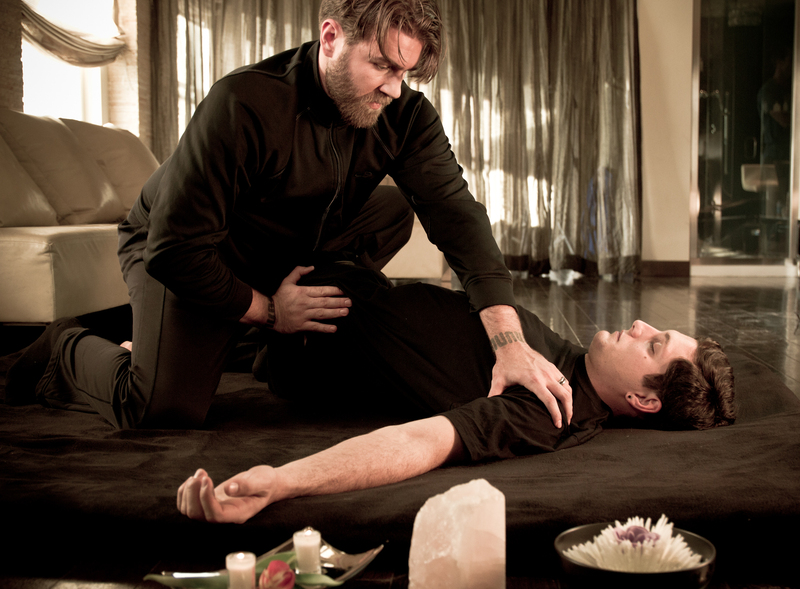 A simple 5-10 minute abdominal treatment added to your massage can create lasting effects. Ask you therapist add-on abdominal massage to your next treatment for optimal health! The Power of Vitamin D! Meeting your resolutions head on! The Hideaway by Exquisite Massage in on Girard in luxurious La Jolla!